3PL Intermodal Trucking Software designed, inspired and developed based on our customers feedback is a unique platform never seen before. Our easy to use container board, can manage hundreds of containers import, export and rail. Other software providers have a difficult to understand system that takes months to learn. The average time it takes a dispatcher to fully utilize 3PL Intermodal Trucking Software is about 30 minutes. This is due to the fact that our system was developed based on 100% customer feedback. 3PL Intermodal Trucking Software NO USER RESTRICTIONS OR LIMITS enables you to work with peace of mind knowing your monthly charge with not be affected by your busy season, instead focus on moving more containers. 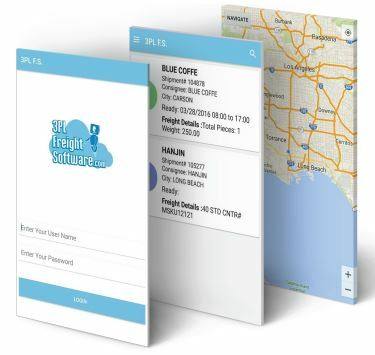 In addition, our Container Availability Software is included that will assist you with tracking the containers and updating 3PL Intermodal Trucking Software with important information and automating data entry. Chassis Management Software is included with your monthly fee and can assist auditing chassis invoices for some of the common widely used chassis providers. A common task that takes hours, it can be reduced to minutes . Creating invoices with one click on 3PL Intermodal Trucking Software is a reality. Our Auto-Rating Module can manage all types of matrix you build for your customer tariffs. After creating an invoice, you are ready to export the invoice to our proprietary 3PL Accounting Software or have the option to use our QuickBooks Integration Software. Both of these are included in your monthly charge. Completely eliminating the need to manually enter invoices into any accounting module and avoid duplicate data entry.